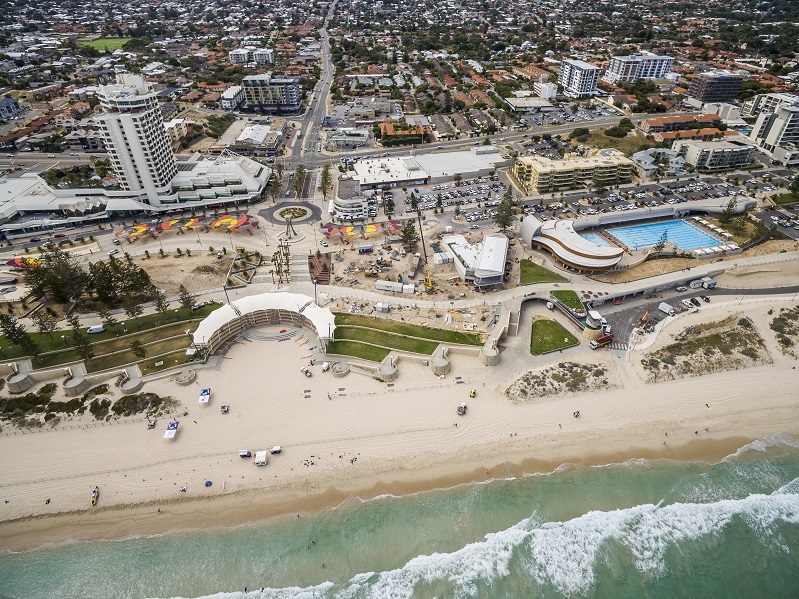 Georgiou has delivered the $50 million Scarborough Beach Redevelopment, providing a new Scarborough Beach foreshore and new attractions for families and visitors to enjoy. 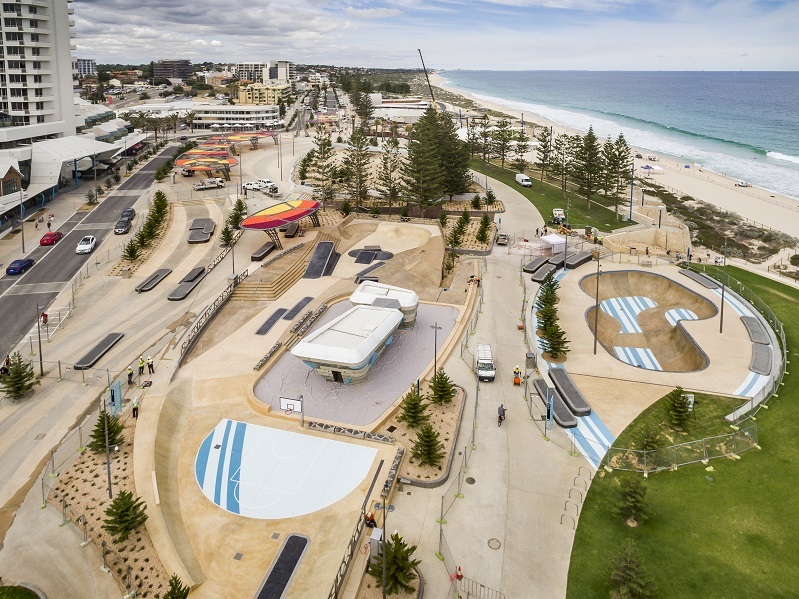 The scope of works for the redevelopment included demolition, service and drainage installation, pavement construction, soft and hard landscaping works, carpark reconfiguration, construction of a new Surf Club and a number of other buildings. Lenane Holdings is a Geraldton based earthmoving & haulage company specialising in the Oil & Gas and Civil industries. Starting in 1989, the team at Lenane Holding’s has built a reputation for providing reliable, efficient service in the exploration, construction, mining and agricultural industries throughout Western Australia. Avon Valley Plant & Equipment are an equipment rental & contracting company operating in the Northam and Wheatbelt areas, specialising in Earthmoving, Civil Works, Trenching & Draining. 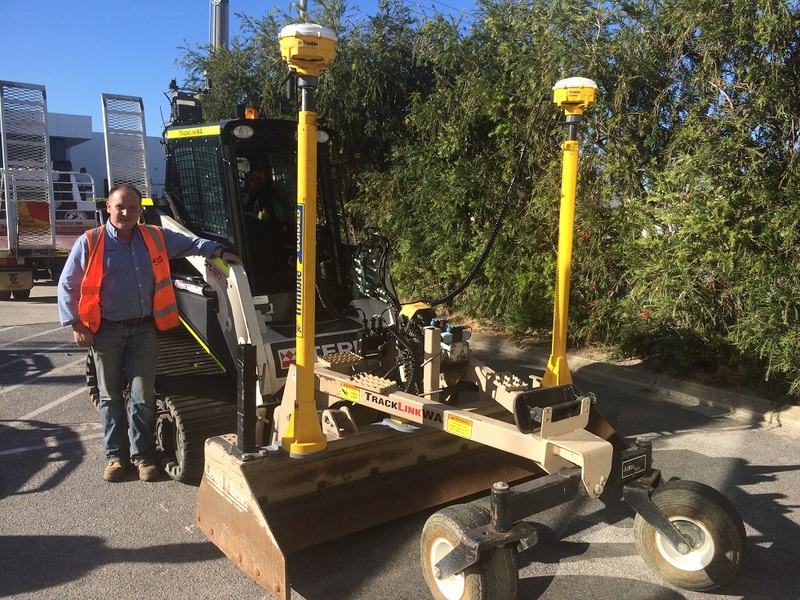 Avon Valley Plant recently purchased a CAT 259D Skid Steer with the new BB121 Box Blade and approached SITECH WA to supply and install a Trimble Accugrade 2D Dual Laser System on it. Red Dust Holdings receive Western Australia's first Loadrite L3180 Smart Payload Management System! 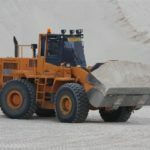 Red Dust Holdings is a Geraldton based business, offering late model, well maintained heavy machinery and equipment hire to the Civil Construction Industry across Australia. They specialise in Plant Hire (wet or dry) in Geraldton, Karratha, Kalgoorlie and all other WA locations. Josh & Tanya Johnson, RDH Directors both believe keeping up with technology is an essential part of their business. That is why all their dozers, graders and excavators are equipped with Trimble GPS and their loaders with Trimble Loadrite on-board weighing systems. The Ports & Bulk division has diversified operations from Port Hedland in the west, where they stockpile and load iron ore for export markets, through to Port Kembla in the east where they handle motor vehicles, heavy machinery and project cargoes. 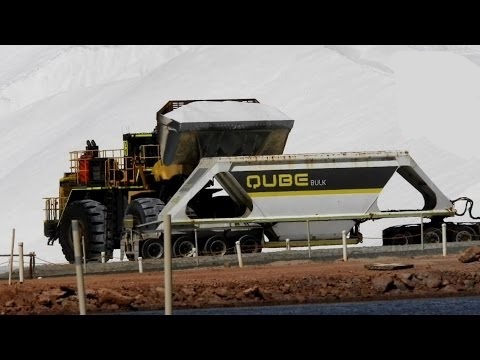 Qube Bulk currently handles more than 20 million tonnes per annum of bulk products. Desert Run earthworks contractor based in Cervantes, WA. Jason Clarke and his wife started Desert Run back in 2013 and currently have a Cat 279D CAT Multi-Terrain Loader, a 3.5t excavator and a 6 wheeler truck. Jason completes all earthworks jobs from small house pads to large commercial builds. Earlier this year Jason took on a commercial project that involved concrete pad preparation for a chicken farm being built in Cervantes. With 8 sheds, 2 houses, worker’s accommodation, a workshop and a packaging shed, there are a lot of pads to be graded! Fintan Kelleher, Proprietor of TrackLinkWA recently decided to fit his compact track loader with a Trimble GCS900 system to allow him to offer a compact machine control solution to the Western Australian earthmoving market. Fintan is able to offer the advantages of a Trimble GCS900 Universal Total Station (UTS) solution. coupled with the ability to manoeuvre in tight confined spaces. After our Field Service Technicians installed the system, I visited Fintan at his latest challenge - the intersection upgrade at Marmion and Whitfords Avenues in Perth's northern suburbs. Lancelin Sands, established in 1981, is a family owned and operated earthmoving and sands supply company operating just outside of Lancelin. Kim Riley started the quarry with a single CAT 930 loader. Back then, he manually tracked the number of loads leaving the yard throughout the day. Along with everything else he was doing, Kim also had to ensure reporting accuracy otherwise he wouldn’t get paid. As the quarry grew the need for more accurate loading was required. After starting out with another brand/system, Kim took delivery of his first Loadrite system in 1997 and has never looked back. Article by Brad Dalton of SITECH WA (approved by CPB Contractors): In June 2016 SITECH WA provided the expertise of their construction services team to CPB Contractors during a particularly difficult bridge beam lift on the extension of the Mitchell Freeway. The lifts undertaken were successfully completed without incident thanks in large part to the role SITECH WA played along with the assistance of David Davidson, the head Surveyor for the project from CPB. 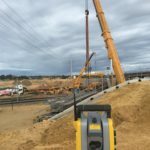 The project involved 18 Tee-Roff bridge beams being lifted into place over the Joondalup rail line and in very close proximity to a high voltage electrical transmission line. CPB Contractors approached SITECH WA to provide collision avoidance technology that would allow the crane operations team the ability to track the end of two 500 tonne cranes in such a way that neither of the booms entered a designated no go zone near and around the overhead power lines that were in close proximity to the lift. Article by Brian Hardestie of Hanking Mining: Late in 2015 in my position of Hanking Mining’s Senior Surveyor, I contacted SITECH WA to request a trial of their Global Navigation Satellite System’s BeiDou Constellation upgrade for our narrow and deep gold mine in the Southern Cross region, Western Australia. BeiDou is the Chinese Satellite Constellation that travels mostly over Australia and in particular over WA so is perfect for use in a deep Western Australian mine like ours. Castle Drilling Company is a Kalgoorlie based drilling contractor. In August this year they were contracted to conduct an exploration program consisting of 200 holes per day, each at 2.5 metres deep with the aim to better define the ore body. 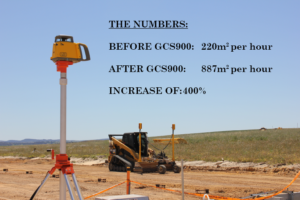 The problem that Castle Drilling immediately faced was the ability for the onsite Surveyors to stay ahead of the required setout program using existing resources, which is where SITECH WA came in. Using Trimble’s new and innovative DPS900 solution SITECH WA were able to provide Castle Drilling with the ability to avoid the need for setout of each drill hole whilst staying on schedule for each days drill program. Georgiou is a national building construction, engineering and property development company, delivering major projects across Western Australia, Queensland, Victoria and New South Wales. Georgiou and SITECH WA, have enjoyed a close and mutually beneficial working relationship for several years. In late 2014 Georgiou management engaged SITECH WA to work collaboratively on an upcoming Earthworks project north of Perth. Georgiou required a way to better manage site planning and project progress beyond the current manual system, to improve productivity and efficiency of the project and ensure key deadlines were met. Three main solutions, were proposed that merged seamlessly to meet the needs of Georgiou and provide management with the tools they required to have greater visibility into the project and be in a strong position to react and plan for any project deviations in near real time. Each year, Water Corporation carries out maintenance to install fire breaks around its assets to help protect these essential pieces of infrastructure during bushfire season. SITECH WA worked with Water Corporation on an innovative solution to automatically record the exact location of fire breaks being maintained around assets in the Perth metropolitan area. SITECH WA used a web-based fleet and asset tracking tool, Trimble Technology’s VisionLink, to track the location of tractors. This reported the time and locations tractors were operating, providing details of where fire breaks were installed. Doral Mineral Sands operate an open cut mineral sands mine near Dardanup in the South West of Western Australia. Ore is progressively mined via a series of open-cut pits using dry mining techniques. The mining utilises a conventional machinery fleet which includes bull dozers, excavators, dump trucks and scrapers. The ore is processed at Dorals nearby Picton Dry Separation Plant to produce a Heavy Mineral Concentrate of ilmenite, leucoxene and zircon. The product is then exported via the Bunbury and Fremantle ports for manufacture into premium paint pigment, high quality welding electrodes and high end zircon tiles. On the Pilbara coast, VDM in joint venture with NRW Holdings, are currently involved in the construction of a 3.6km breakwater for the Cape Preston Magnetite Mine. Over 6 million cubic metres of rock are expected to be excavated by completion of the Project and the placement of the core lock in the breakwater is of grave importance in the future of the Port. Given the locality and scope of this project, all work is carefully planned and monitored to ensure completion is of the highest quality in an environmentally sensitive coastal location. 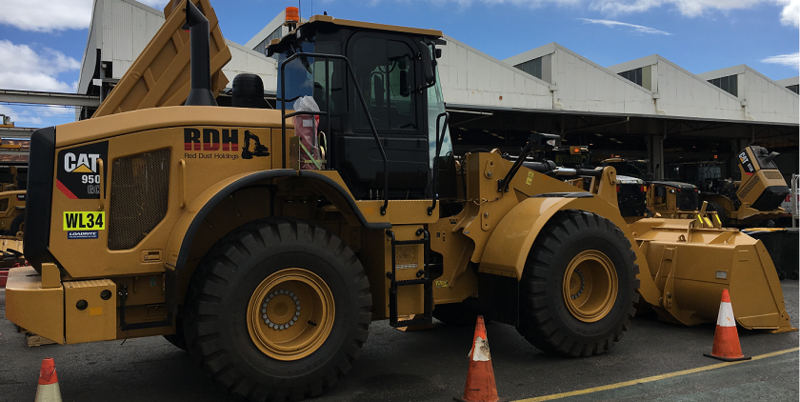 Sitech WA installed the Trimble Grade Control System in several dozers to facilitate the movement of material to form the breakwater as per design specifications. CGC Dredging is a specialist dredging company based in Western Australia that has expertise in mine tailings and marine dredging industries. With operations beginning in 1980, CGC is extremely experienced and well-respected in the industry with an established fleet of small to medium-sized cutter suction dredges. The Alkimos Shorehaven Stages in Perth's Northern Suburbs was a project undertaken by RJ Vincent and Co. for Peet Alkimos Pty Ltd. The stage comprised of approx. 3,000 lots and 30,000 square metres of road works over an area with large limestone deposits. Cat Accugrade machine control systems supplied by SitechWA were utilized on the project. Port Geographe is a canal and marina development just east of Busselton in WA's South West. Since its construction, the marine entrance has been plagued with sand and seaweed build up causing environmental and health problems, erosion and ongoing maintenance costs to remove the sand and seaweed. At the FMG iron ore mine site of Christmas Creek in the east Pilbara, UEA are operating Vermeer surface miner machines using Trimble GPS guidance for 24 hour production. Due to the geology of the resource and the fact that most of the ore is horizontally layered, the mining process lends itself to surface mining techniques. The pit is approximately 500m wide by 1km long and will be mined to a depth of 50m. The estimated iron ore reserve is 619 million tonnes. SITECH WA is excited to be helping out on the Reid Highway Expansion at the moment. We have had a small team out there few the last couple of weeks watching over the project as our Trimble PCS900 system is in action. The PCS900 is being controlled by a Trimble SPS930 Universal Total Station and the grade is being verified by an SCS900 system. Initial results are very impressive with the system achieving a mean of around 3mm to design and standard deviations below 4mm. In Western Australia’s scenic south west region near Collie, lies the BHP Billiton run Worsley Alumina refinery. Worsley alumina is the world’s fifth biggest alumina producer and home to one of the world’s longest conveyor belts at 52km. For over 25 years, B & J Catalano have held the contract for constructing the Bauxite residue disposal area or tailings dams, a massive task. Through hard work and innovation, Catalano along with Sitech WA and Trimble, have been able to stay at the top of their game, Bulk excavating up to 3 million cubic metres, laying 10’s of kilometres of pipework and constructing kilometres of embankment every year, not to mention keeping haul roads and drainage around site to a suitable level.